Do you need a powerful web conversion tool? 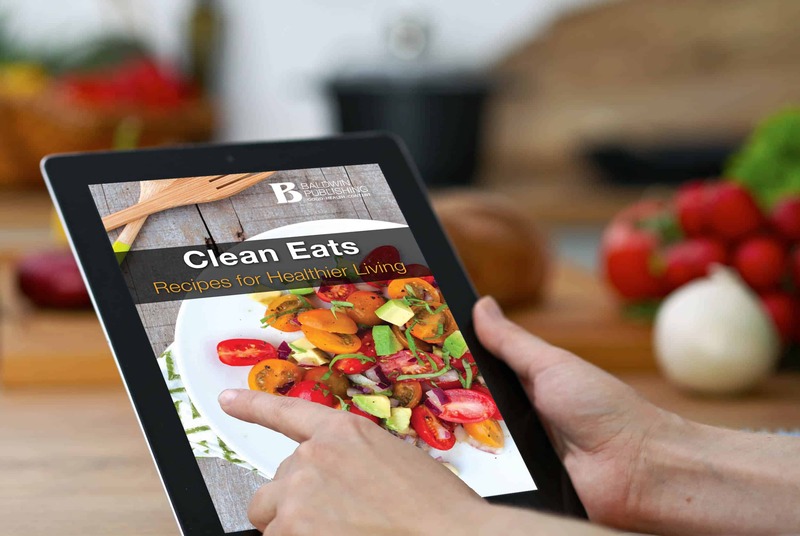 Digital cookbooks from Health eCooking® convert hundreds of web visitors into leads and subscribers for organizations like yours every day. Health eCooking digital cookbooks are a content marketing tool that helps you generate more leads and learn more about the people who visit your website. It’s an easy-to-use content offer that delivers a branded cookbook — downloaded right from your website — to online visitors who sign up, subscribe or take any desired action you choose. People love cookbooks. And chances are if they’re interested in healthy recipes, they’re also interested in your healthy products and services. Brand a cookbook. Start a relationship. To learn more about Baldwin’s healthy recipes and wellness content or to schedule a product demo, give us a call at 800-705-6522 or complete the form below.